So Celestia is officially on the test realm!! Of course I can’t actually get to Celestia yet, since I’m not level 48 and haven’t defeated Malistaire, but there is a lot more to this update than just Celestia! First – new mounts! The turtles are SO CUTE!!! 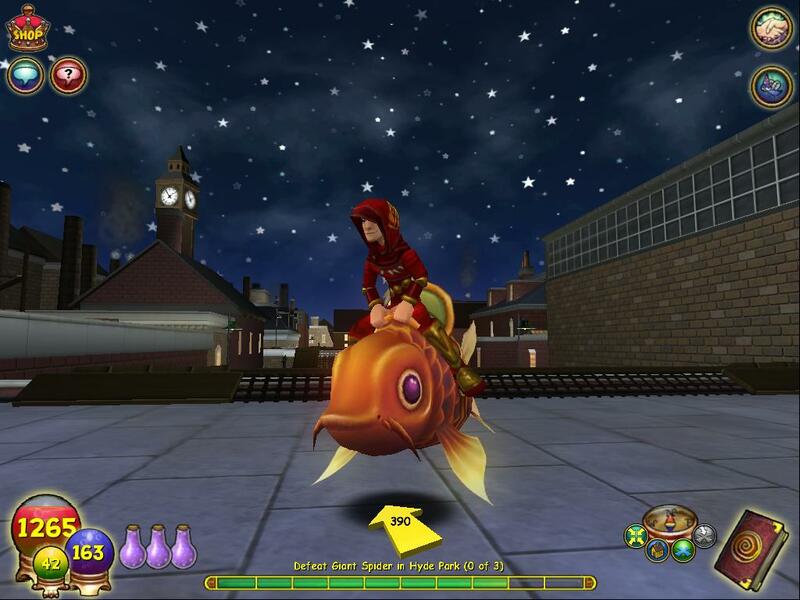 But I have to admit, I am completely in love with the Ancient Koi mount!! It’s so cool and wonderful, I want one! Well, in the test realm I have one, I want one in the real world too! There is so much more to this update that we’ll all be exploring over the next few days, I’m sure there will be lots and lots of great stuff coming soon! Celestia is finally here – yay!!! Celestia on the test realm and I have a Koi!! This entry was posted on October 9, 2010 by dittowizard. It was filed under Wizard 101 .